Taiwan is estimated to make megayachts and superyachts with a total length of over 5,000 feet in 2015. If the success of Taiwan's information technology (IT) and electronics manufacturing industries is a consequence of generous government support, the rise of the island's yacht industry must be a miracle. For over 40 years, this luxury goods sector has been faring well in the global market despite an anemic domestic market and nary a hand of regulatory support. The tradition of boatbuilding in Taiwan dates back several centuries, but yachts first entered the local industry scene in the 1970s. The first demand came from American soldiers who discovered the high quality and low cost of Taiwan-made boats while based on the island during the Vietnam War. When those soldiers returned to the states, many ordered small-sized yachts for private use in their country. Some of those buyers became importers for sale in the U.S. market, setting the stage for the rise of Taiwan's nascent yacht industry. Output in the local industry peaked at 1,755 yachts in 1987 with a total worth US$190.79 million, or US$108,714 per yacht on average, up 34.35% from US$142.01 million posted a year earlier. About 81.68% of the boats produced that year were exported to the U.S., with 40-foot to 50-foot models as the mainstream. Since then, however, output had fallen steadily, hitting a nadir of 228 yachts in 1994. Appreciation of the New Taiwan dollar, rising labor costs in Taiwan, and the imposition of luxury taxes in the U.S. all contributed to the industry's downfall. In a fight for their lives, Taiwanese yacht builders have moved up-market, improving their technology and manufacturing abilities to turn out 80-plus-foot mega-yachts today. With its focus on higher-end mega yachts, the local industry increased output to 244 yachts in 2008, up from 236 the year before. At an average selling price of US$1.325 million per yacht, total output in 2008 reached US$323.53 million, up 15.12% from the US$281.05 million posted in 2007. Taiwan now ranks among top 10 yacht builders in the world, and it is No. 5 in terms of the total length of exported mega yachts. The current boom enjoyed by Taiwanese yacht builders is a product of relentless efforts to hone competitiveness over the past decades, according to John Lu, ex-chairman of the Taiwan Yacht Industry Association (TYIA). Lu says that around 80% of Taiwanese yacht builders are clustered in Qijin, Xiaogang and Qianzhen District in Kaohsiung City, southern Taiwan. The industry has also benefited from a strong supporting academic and industrial base in these areas. Through cooperation with industry peers and universities, yacht builders have steadily upgraded production and formed a fully integrated supply chain to shorten delivery times and boost efficiency. Another competitive strength of the industry is advanced production technologies, including 3D forming processes for FRP (fabric reinforced plastic) ship hulls, metalworking, woodworking and furnishing, all of which enable local yacht makers to customize design and production, leveraging Taiwan to a leading position in the global supply chain of mega yachts and super yachts. 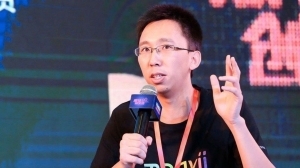 Lu says that Taiwanese makers lead rivals with their know-how in FRP properties and applications, thanks to their early involvement in FRP processing methodologies in production of small-sized functional vessels, like fishing boats, over half a century ago. 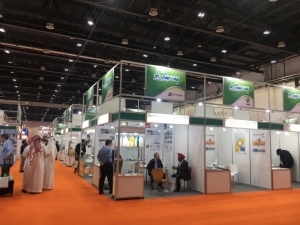 The industry continues to devote considerable R&D resources in the improvement of FRP and related technologies, adding momentum to the industry's development. The success of the industry also owes to the development of a high-quality workforce. 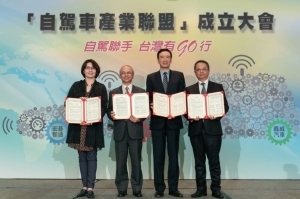 Lu notes that Taiwanese makers have collaborated with colleges, including National Taiwan Ocean University and National Kangshan Agricultural & Industrial Vocational Senior High Schools, to offer training courses and related classes to enrich skills of their employees and to attract more young workers to the industry. The TYIA has also worked with some vocational schools to train students in carpenter skills and secure a stable supply of such essential manpower in the industry, he says. Lu concludes that following decades of hard work, a number of Taiwanese yacht builders have earned strong brand recognition among yacht owners around the world. Local yacht makers have also teamed up to boost their global position under a joint brand "Taiwan Yacht" in overseas exhibitions, helping the industry to weather the current recession. The most remarkable Taiwanese yacht maker must be Horizon Group, with its unparalleled achievements among Taiwanese counterparts' in the global market for branded yachts. 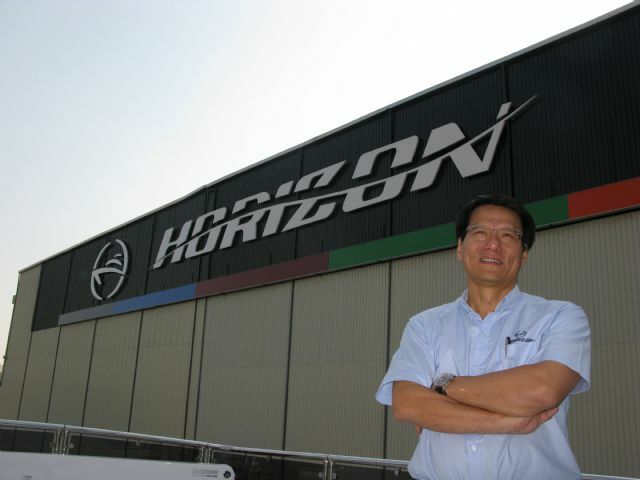 Established in 1987 in Kaohsiung City, Horizon was just one of numerous small-sized yacht builders in the global market then. 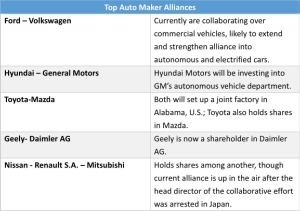 Few in the industry expected them to survive the competition with Italian, American and Dutch rivals. But under the management of Lu, a far-sighted CEO with a commitment to continual improvement, Horizon quickly evolved into a large-sized yacht building group and an emerging power in the global market. In 2006, yachting magazine Yachts International ranked the group as the world's sixth biggest yacht maker and the largest in Asia. The group is Taiwan's first and only yacht maker with incorporated subsidiaries, including three shipyards (Vision Yachts, Horizon Yachts and Premier Yachts), an FRP factory (Atech Composites), a furniture factory (Q&E Interior Mill Work) and a U.S.-based sales and service center, which respectively specialize in yacht building, FRP composites manufacturing and ship hull forming, yacht interior furnishing and customer services. 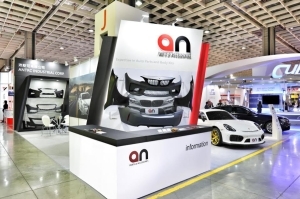 This integrated structure allows each subsidiary to focus on production upgrades according to its business functions and thereby enhance the group's competitiveness overall as an OBM (original brand manufacturer) and ODM (original design manufacturer) supplier. For example, Atech Composites has introduced an advanced resin-infusion molding technology, SCRIMP (seeman composite resin infusion process), which can effectively shorten construction time of each yacht and strengthen the durability of yacht hulls. 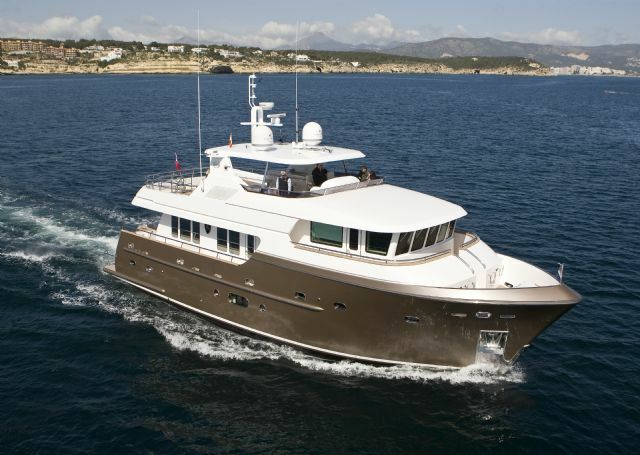 Premier Yachts, on the other hand, focuses on the development of 105-footers and above that are the industry mainstays. Atech Composite's cutting-edge SCRIMP technology, which allows the infusion of one-piece, lengthy hulls, and Premier Yacht's know-how about design and production of larger yachts have positioned Horizon to excel in the 120-plu-foot mega yacht market. Despite the souring market for new yachts, Horizon is moving ahead full throttle with the launch of its newest Bandido 148 Explorer in 2010. This long-range 148-foot mega yacht is built to BV Classification and is ICE Class and MCA LY2 compliant. The global market for yachts is expected to keep growing after a significant recession beginning in 2009. The Bandido 148 Explorer is powered by twin MTU 12V4000M60 1800-hp engines able to propel the behemoth ship at a maximum speed of 15.6 knots and a cruising speed of 12 knots. The vessel has a range of 4,500 nautical miles, making it a perfect choice for the globetrotting billionaire. The yacht has ABT (American Bow Thruster) TRAC fin stabilizers and a TRACSTAR stabilizer system, assuring excellent stability when anchored or drifting. 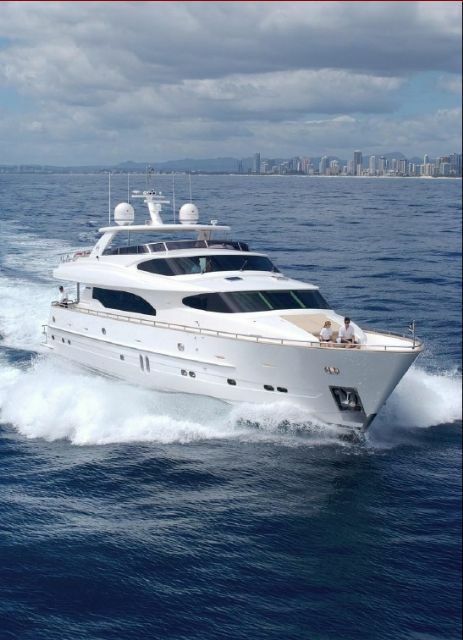 The luxurious interior and spacious accommodations also add to the value of the yacht. The Bandido 148 Explore is Horizon's first yacht with a steel hull and aluminum superstructure. The new yacht also secures Horizon's spot as an R&D and production technology leader in Taiwan, as most of its local peers are still trying to upgrade production from the 80-footer class to 100-foot to 120-foot models. Horizon's yacht line also includes the SunCat series, which range from 23 feet to 46 feet and are partly powered by solar panels. The eco-friendly boats also mark a new era of green shipbuilding in Taiwan's yacht industry. Seven years older than the Horizon Group, Ocean Alexander, founded in 1978, is one of the earliest Taiwanese yacht makers with a global brand. With decades of uncompromising pursuit of perfection in yacht construction and engineering excellence, Ocean Alexander is one of Taiwan's top three yacht builders as well as one of the world's top 20 yacht brands in terms of total length of mega yachts produced. Johnny Chueh, president of Ocean Alexander, said that the brand started with help of American yacht designers and dealers in Seattle. The historical tie with the U.S. has driven his firm to emphasize development of American-style yachts, which differ from European yachts in their more standardized design and residential facilities for family use. Realizing the importance of a comprehensive product line in boosting brand recognition, Ocean Alexander supplies a full range of yachts, from 30-feet entry-level models to 140-foot mega yachts, all with customizable interiors. Unlike its Taiwanese counterparts, who specialize in customization, Ocean Alexander produces standardized ship hulls and superstructures to assure the best quality. "We design, build and fit up a yacht largely based on our professionalism but without merely playing up to buyer's requirements, which may compromise sailing safety," Chueh says. "So, Ocean Alexander insists on providing such ‘semi-customized' yachts with the finest quality." Ocean Alexander's slogan "Engineering Obsession" indicates the brand's belief in safety and quality-oriented engineering. 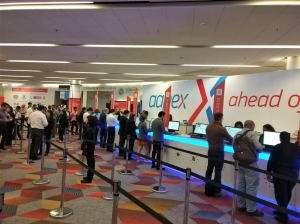 "Engineering is key to adding value," Chueh says. "This includes the design, human factors, superstructure and safety of a yacht." When designing a new yacht, Ocean Alexander conducts detailed engineering studies and then works closely with foreign yacht designers and its engineering team to work out the kinks in terms of material usage, production feasibility and engineering optimization until perfection is achieved. This painstaking process contributes to strength and stunning exterior of Ocean Alexander's superstructures. For example, the company is capable of applying extruded I-beams made of aircraft-grade 6061 aluminum and further reinforcing the key parts with unidirectional carbon fiber for a tenfold gain in structure strength to frame the house and decks of a yacht. Ocean Alexander also builds high-end electrical systems used on F16 fighter into its yachts and makes propeller shafts with S2HS steel for the safest steering and sailing. "We impress customers with our fanatic dedication to engineering," says Chueh. "Customers can feel the difference throughout our yachts and their ease of sailing." With unceasing concentration on engineering upgrades, Ocean Alexander has recently cooperated with the U.S.-based yacht builder, Christensen, on production technologies for 160-plus-foot mega yachts. Through the partnership, Ocean Alexander is well on its way to taking a leading position in the market for these increasingly popular large-sized yachts. Founded in 2004, the young yacht builder Jade Yachts Inc. has gained industry credibility by building the luxury yacht "Amadeus" for Louis Vuitton chairman Bernard Arnault. Jade Yachts' vice chairman Memphis Han noted that his firm decided to begin as the first shipbuilder specializing in construction of mega yachts and super yachts with steel hulls and aluminum superstructure in Taiwan. Technically supported by its parent company, Jong Shyn Shipbuilding Company, a large-sized commercial ship builder with annual output of over 240 steel ships with weight ranging from 450 to 2,200 metric tons, Jade Yachts has won over yacht buyers all around the world, especially in Europe, with its top-notch capability to produce 90-foot to 200-foot steel yachts with globally-cruising capability. The firm is also the only yacht maker certificated by Det Norske Veritas (DNV) in Asia. Though it only produces three to four yachts a year, Jade Yacht makes up in quality what it lacks in sheer volume. As a result, its yachts sell for up to US$10 million, far higher than the average of US$1.35 million in the local industry. "We aim to build so-called ‘boutique mega yachts' that have to be built with the finest workmanship and feature the best relaxing space," Han says. "That's why each of our yachts requires 22 months to build, almost twice the time required for rival brands." Jade-branded yacht hulls are assembled from numerous pieces of steel plates and meticulously finished into a thoroughly curved shape without visible jointing. Each piece of wooden furniture is sanded and painted layer by layer, while metal parts are carefully polished to mirror-like smoothness and shine. Jade Yacht also uses high-graded materials, including marble, and leather, and employs famous interior designers to furnish the yacht deckhouses, resulting in elegantly beautiful results. Jade Yachts also is nearly unrivaled in its expertise in engine room and bridge layout, a talent the firm's engineers learned from commercial shipbuilding at Jong Shyn. These areas of the yachts are designed to create a crew-friendly environment so as to minimize operational errors and improve safety. 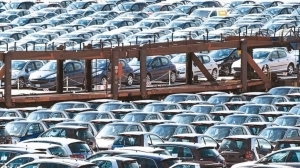 The firm's advanced technologies also reduce engine room noise and vibration to improve passenger comfort. This attention to detail and workmanship has earned Jade-branded yachts a strong reputation among yacht owners worldwide. It has also earned Jade Yachts an invitation to attend the Monaco Yacht Show 2009 from September 23 to 26, indicating the brand's place among the royalty of the yacht-builder world. Though not the biggest in the local industry, Grand Harbour Yachts Inc., established in 1978, has a high profile in the Hong Kong market, which absorbs half of its annual output, six yachts in 2008 alone. B.H. Gung, president of Grand Harbour, said that he decided to set up the company after decades at Kha Shing Enterprise Co., Ltd., one of Taiwan's top-three yacht builders. He also served as -chairman of the TYIA from 1996 to 2002, during which time he led the industry to learn advanced propulsion systems and CE criteria. Presently, the company builds yachts ranging from 45 to 90 feet as the mainstream products in its shipyards in southern Taiwan, with some exported under its Grand Harbour brand and the rest selling on an OEM basis. The company's newest shipyard, opened three years ago, is within close distance of the harbor and can accommodate the construction of up to 10 yachts at a time, allowing the company more flexibility in production. Exquisite furnishing is among attractions of Taiwan-made yachts. Although the yacht market has weakened with the recession, Grand Harbour has navigated the downturn better than most by cutting costs, Gung says. 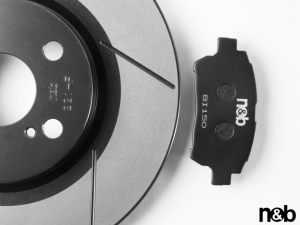 "We are also working more on customization to diversify our product offering." Through these strategies, Grand Harbour saw only a slight drop in its sales this year, Gung says. 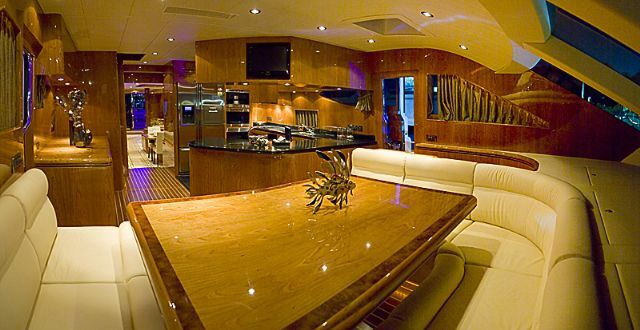 Fine interior furnishing is a major selling feature of Grand Harbour's yachts. Gung says that his company has set up a woodworking shop and a painting room for in-house production of furniture to ensure that each piece of furniture is finished well. 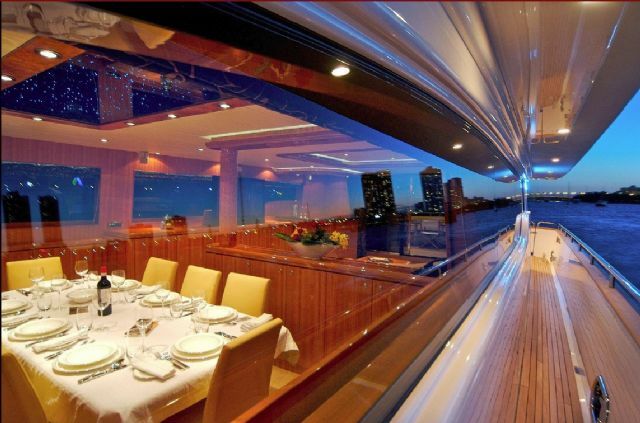 The company also uses high gloss paint on its yachts to improve visual appeal and the sense of luxury. Despite sagging demand in the global yacht market, Gung is optimistic about his firm and the industry's future. 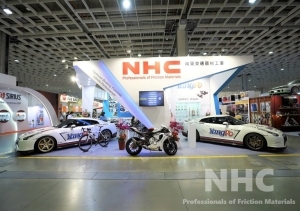 "Taiwanese makers can compare with Italian and Dutch rivals in workmanship and R&D capability, and can adapt to the quickly changing market very well," he says. Consummate craftsmanship contributes to impressive furnishing offered by Taiwan-made yachts. One typical example of Taiwanese makers quickly adapting them to sluggish demand for new yachts is Johnson Yachts Co., Ltd. Established in 1987, Johnson is one of Taiwan's major yacht builders and a major player in the mega yacht segment. The company generates about US$20 million in sales from yachts measuring 70 to 105 feet long. Johnson Yachts' senior sales manager Frank Chyan notes that the company drew on its extensive experience in sail yachts to start production of motor yachts as an OEM two decades ago moving steadily into the ODM and OBM markets. "Poor promotion obstructed our business initially, and the only distribution channel we could rely on then was our original sail yacht clients in the U.S.," Chyan says. "Thanks to the quality and sensible designs of our yachts, we have quickly gained recognition among U.S. yacht owners as a competent yacht builder. We have also established a solid distribution network in the U.S.," he says. Another decisive factor in Johnson Yachts' success is the long-term cooperation with Taiwan's officially funded United Ship Design & Development Center on upgrades of key production methodologies, including application of a specially designed bulbous bow in its large displacement yachts, Chyan says. "A positive learning-by-doing attitude drives us to consistently absorb advanced technologies to better our yachts," he notes. Sensitive to gloomy climates in the yacht market, Johnson Yachts moved early last year to streamline its organization and adopt survival strategies. 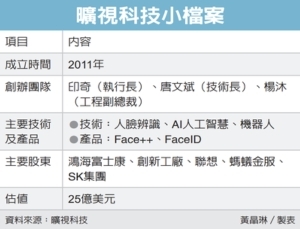 One move was to collaborate with Taiwan's Export-Import Bank to offer client-friendly payments, like installment payment over two-year terms for clients with good credit histories. The company also offers to fit new yachts with upgraded facilities free of charge. Johnson Yachts also has paid attention to after-sales services. Chyan said that the company sends its senior engineers around the world to help yacht owners with maintenance services. "In addition to boosting brand recognition, such services are also beneficial to Johnson, as our engineers can improve their problem-solving skills," he states. Not to lag behind its Taiwanese counterparts in the mega yacht market, Johnson Yachts has been developing 125-footers and is increasingly focused on European style ships, Chyan says. "The market will turn around at the end of next year as the earliest. We believe this is a good opportunity for Johnson to switch its focus to sharpening competitiveness from merely pursuing business growth." Taiwan is world’s six-largest and Asia’s biggest yacht maker in 2015. Driven by the prosperous local yacht industry, TYIA's newly inaugurated chairman, C.H. Chang, also the president of Global Yacht Builders Co., Ltd., one of Taiwan's best-known yacht makers in Hong Kong, China and other Southeast Asian nations, noted that the 2nd Taiwan International Boat Show (TIBS), scheduled to open on March 10, 2016 in the Kaohsiung Exhibition Center, is expected to see a bigger turnout than the earlier edition. 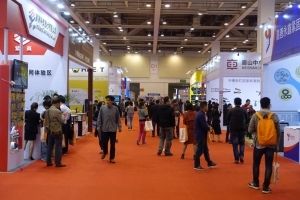 Aiming to better promote Taiwan's top-end yacht builders and high-quality yachts globally and targeting yacht buyers and owners all over the world, the biennial TIBS was inaugurated by Kaohsiung City Hall and Bureau of Foreign Trade in associate with Taiwan External Trade Development Council and TYIA in 2014, when 200 exhibitors using 800 booths and more than 70,000 visitors at home and from abroad were present at the venue during its four-day run beginning May 8. With over 60 yachts and a wide range of related components and equipment on display, the show proved to be a successful business platform. 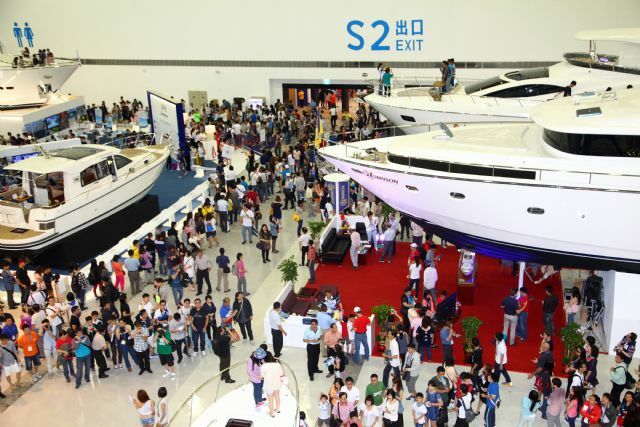 Chang stressed that the 2nd TIBS will host over 200 exhibitors in Taiwan and from China, Germany, Sweden, Australia, the U.S., New Zealand, the U.K., Italy, Singapore, Hong Kong, Canada, Japan, Korea, the Philippines, Indonesia and other countries with tremendous domestic demand for yachts, and lease more than 900 booths to remain the largest yacht trade fair in Asia. 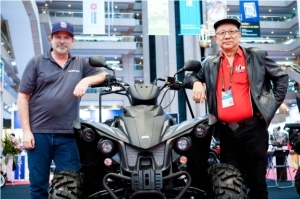 This, Chang believes, will further propel the industry's growth in 2016. 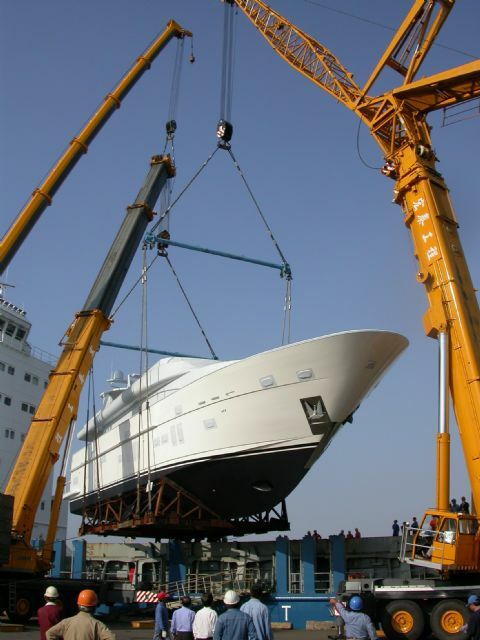 The first TIBS proved to be a resounding success for Taiwan’s yacht industry.